Posted on Sunday, September 27th, 2015. - Filed under 65-Inch. UN65J6300 and UN65J6200 are the only two models that you can find when you are looking for 65-Inch Smart TV with 1080p Full HD resolution in Samsung’s 2015 TV lineup. Samsung UN65J6300 comes as successor of popular Samsung UN65H6350 from 2014 lineup, while Samsung UN65J6200 comes as replacement model of Samsung UN65H6203. As there are several similar aspects of Samsung UN65J6300 and UN65J6200, you may questioned which of those two TVs is better. This article is trying to help you to decide which of Samsung UN65J6300 and UN65J6200 is the better choice for you. If you have followed the standard 65-Inch Full HD TV of Samsung, you may notice that Samsung UN65J6300 is in the sequence of the standard 65-Inch standard Smart Full HD TV. You can find Samsung UN65F6300 from F6300 model in 2013 lineup, Samsung UN65H6350 from H6350 model in 2014 and this year It’s Samsung UN65J6300 from J6300 model. As the main 65-Inch Smart Full HD TV, Samsung UN65J6300 is completed with the standard picture quality technology for Full HD TV, wide color enhancer in LED Backlight. But this year, Samsung also install Micro Dimming Pro on the new standard model for its 65-Inch Smart Full HD TV. Micro Dimming Pro was installed on the higher model H7150 that have no newer model in 2015. With Micro Dimming Pro, you can enjoy more vibrant color contrast on top of accurate color details that delivered by wide Color enhancer. On the Smart TV platform, Samsung UN65J6300 use the new 2015 Samsung Smart TV as its Smart TV platform that use Tizen as its operating system. Are you looking for affordable 65-Inch Smart TV with Full HD resolution? I’m quite sure that you consider Samsung UN65J6200. 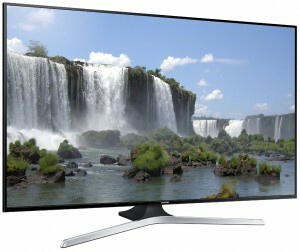 Samsung UN65J6200 is the basic 65-Inch Smart Full HD TV from Samsung’s 2015 lineup. It’s released by Samsung as replacement model of the older Samsung UN65H6203 of 2014 lineup. As basic model, Samsung UN65J6200 use the same wide color enhancer as Samsung UN65J6300. With Wide Color Enhancer technology, Samsung UN65J6200 is able to bring wider color spectrum to the TV screen. The TV is completed with the latest Smart TV platform of Samsung, 2015 Samsung Smart TV. You can enjoy more smart apps with the new 2015 Samsung Smart TV since It’s powered by the new Tizen OS as its operating system. With Tizen OS, you can run more Smart Apps that designed to run on Tizen platform. Connecting to your favorite content providers also can be done easily with built-in wifi that connect to your home network with almost no time. Looking at the table above, We can see few differences between Samsung UN65J6300 and UN65J6200. Let’s take a look together more details on the differences of those two TVs. 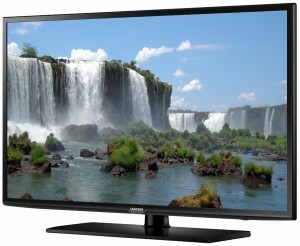 Samsung UN65J6300 and UN65J6200 both use 1080p Full HD resolution. They also use the same LED backlight technology. The color technology used by those two TVs also the same, Wide Color Enhancer technology. But the Samsung UN65J6300 is completed with additional picture technology named Micro Dimming Pro. Micro Dimming Pro was installed on the H7150 model of 2014 model but It’s now installed on the J6300 model in 2015 as there’s no successor of H7150 model in 2015. What’s micro Dimming Pro? It’s a technology to bring more vibrant color contrast on the TV screen as well as minimize the image distortion and “halo” effect on the TV screen. 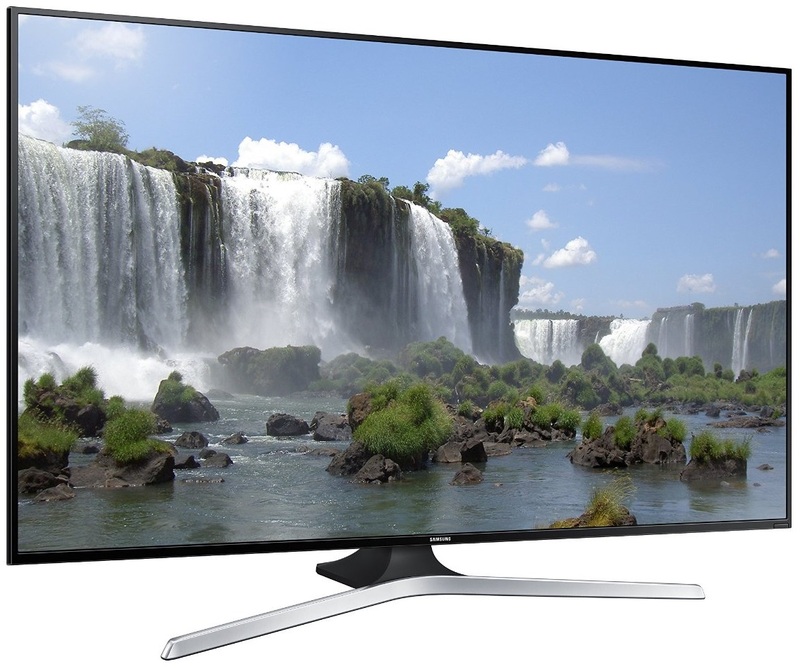 As part of 2015 Smart TV, both of Samsung UN65J6300 and UN65J6200 come with the latest 2015 Samsung Smart TV. It brings the new Tizen OS that able to run more apps on it. There some apps that quite heavy to be run by the TV. That’s way the TV needs better processor. The Samsung UN65J6300 is completed with Quad-Core processor that can run heavy apps faster with least processing lag, while Samsung UN65J6200 comes without any quad-core processor so you can sometime experience processing lag on this TV. Samsung UN65J6300 comes with thinner design than Samsung UN65J6200. With thinner bezel, you can get better edge-less watching experience on Samsung UN65J6300. 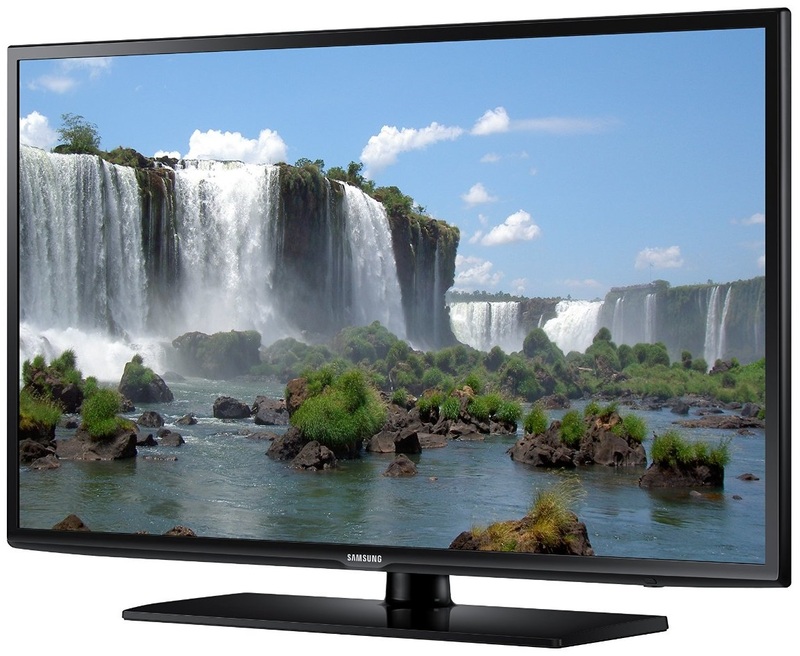 On the input aspect, Samsung UN65J6300 is utilized with more HDMI/USB inputs. It comes with 4/3 HDMI/USB. While the Samsung UN65J6200 only comes with 2/2 HDMI/USB inputs. With more HDMI/USB inputs, you can plug in more devices at the same time on Samsung UN65J6300. If We talk about price, as Samsung UN65J6300 is positioned as the higher model, than We can easily guess that It’s priced at more expensive price. How much price difference between UN65J6300 and UN65J6200? Commonly the retailers sell Samsung UN65J6300 at around $200 more expensive than Samsung UN65J6200. Related Post To Samsung UN65J6300 vs UN65J6200 : What’s the Reason to Choose UN65J6300? TCL 65S517 vs 65C807 : How is The Comparison between The Two? We can find TCL 65S517 and 65C807 as two options that we can consider if we are looking for 65-Inch 4K UHD TV with Dolby Vision HDR support. TCL 65S517 is introduced as part of TCL’s 2018 TV..
For basic 65-Inch 4K LED TV, You can find 65UH6150 and 65UF6450 from LG’s 2016 and 2015 TV lineup. In the other words, We can call LG 65UH6150 as the newer model for LG 65UF6450. As the newer model,..